Hello, I'm Kathy, the face behind West End Cakes. 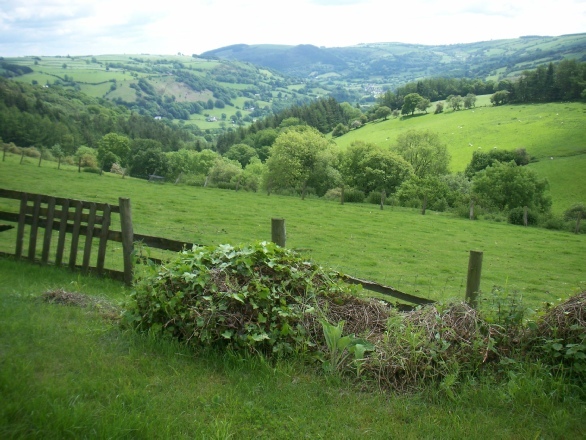 I grew up on a farm in North Wales with my parents, younger sister and two brothers. My mum was (and still is) a fantastic cook, so from an early age I was always involved in cooking and baking delicious family favourites. I moved away from farming and country life when I went to college in Bristol and later moved to live in South Wales, where I met my husband Mike. My love of baking has always stayed with me - hey, I love cake! So, in 1990, when I saw a local ad for classes in cake decorating and sugarcraft, I was quick to enrol. I was taught all the basic elements of cake decorating and armed with that knowledge, I began to practice my new skills on friends and family. I knew this was to be my destiny. West End Cakes was set up in 2009 as a home-based business in Barry, South Wales. All the cakes you will see on this site are hand-made by me from scratch - no cake mixes here! I use top-quality ingredients, Welsh where possible, including free-range eggs and butter (not margarine). Cakes are baked to order so that they have that wonderfully fresh home-made taste - with no added preservatives. I believe that no matter how stunning a cake looks, if it doesn't taste great as well, it's not a West End Cake. I love working with customers to design a cake for their special occasion - it is a real privilege being part of their celebration. Building a business out of something that I love to do HAS to be the best kind of business there is. FULLY REGISTERED WITH THE FOOD STANDARDS AGENCY. I AM PROUD TO HOLD THE FOOD HYGIENE RATING OF “5”, AS WELL AS BEING FULLY INSURED.